The search for a new Target CEO is well underway. 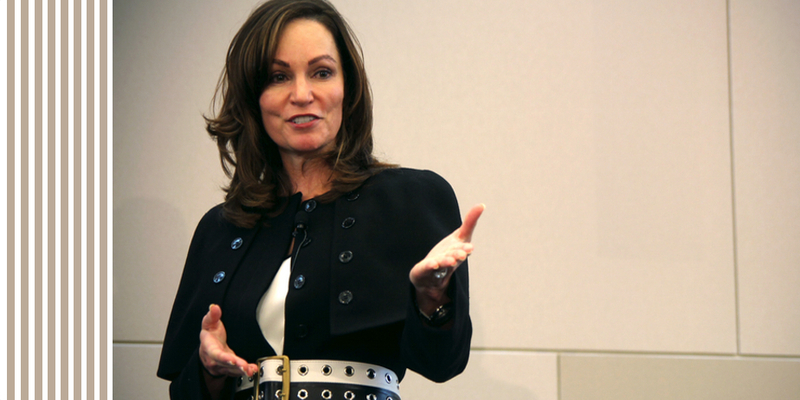 Helping lead the charge is Roxanne Austin, who recently became Target’s interim board chair. Named one of the 50 most influential people in boardrooms last year by the National Association of Corporate Directors, Roxanne sat down with us to discuss how she’ll help find Target’s match. The pressure is on, but she’s ready. You’ve been a member of Target’s board for 12 years. How is your new role as interim board chair different from your role as a board member? In my new role, I serve as the liaison between the board and Target’s leadership team. I’m here to support them and provide strategic counsel and advice. It’s a larger commitment, and my plan is to be here as often as necessary as we go through this interim transition period. What is the board looking for in a new CEO? As you know, we want to aggressively move Target forward, and one of our three priorities is to transform our digital presence and become a leader in omnichannel retailing. That is one of the major focuses as we look for a new CEO, along with great leadership and transformational capability. What about timing? How long do you expect the CEO search to take? It’s about finding the right person, not meeting a timeframe. That said, we’re working with urgency to find the right fit and the right person to lead Target forward. What do you find exciting, and what do you find challenging, about Target right now? We’re clearly coming off of some performance challenges in 2013, but now is a really exciting time for all of us to be here. Target has identified our top three priorities and we want to aggressively move the company forward by focusing on these priorities. The ability to be a part of Target’s transformation is really energizing. How does the board feel about Target’s current leadership? The board has total confidence in our leadership team. This team, and John Mulligan as interim CEO, have our 100 percent support. They are doing a phenomenal job. They will have the resources they need to do the things we’ve asked them to do, which is to move the company aggressively forward. Hardest question — what’s on your Target shopping list? I need to stop by Target and get some Boots products. I love Boots No7. And I’m always looking at what’s new in Tabletop and Home. Want to know more? Check out this recent Bloomberg News article about Austin.